His extraordinary entrepreneurial acumen has inspired the organization to grow into a multi - faceted conglomerate. 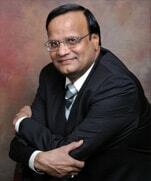 He has been instrumental in developing the concept of turnkey developers for non conventional energy projects in India. His leadership has enabled the Group to foray into several infrastructure projects in Public and Private Partnerships. As the Chief Mentor, he has nurtured, developed and empowered leaders at every level of the organization. A Mechanical Engineer from the Mysore University and a technocrat with over 20 years of experience in the manufacturing and IT sector. He has designed, developed and implemented various software projects across various platforms. 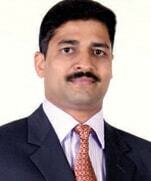 He has rich exposure in project management, manpower management and software services/BPO costing. 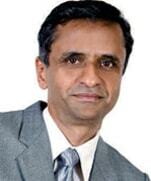 He was instrumental in conception and successful implementation of ATP systems for the BESCOM-Bangalore. In ADD Tech, he is responsible for project costing, software requirements, vendor co-ordination, installation of ATP systems and other software services. He is also responsible for identifying new potential areas for BPO services. A Post Graduate MBA from Symbiosis Institute of Management Studies-Pune, with 15 years experience in Marketing and Customer Relationship, in Banking, Telecom and various Government Utilities Bodies. 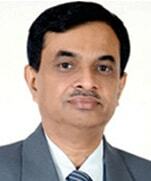 He has worked with Canara Bank's Information Technology Subsidiary and withheld the position of Business Head. During his experience he has handled relationships with large Corporates and was instrumental in selling the concept of BOOM [Build Own Operate & Maintain] basis to BESCOM, Bangalore. He has excellent customer relationship management skills and works towards improving the service level to the customers of the company.